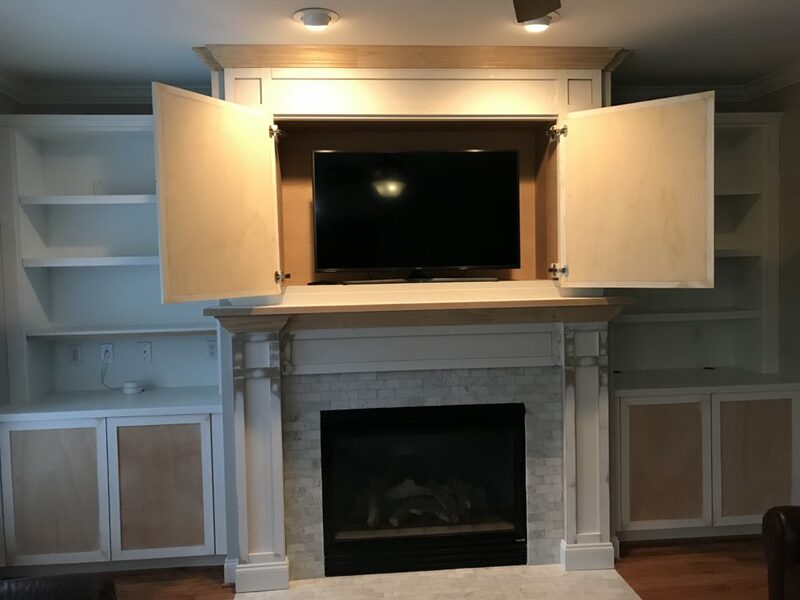 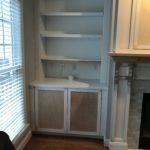 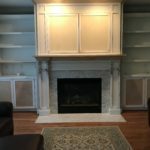 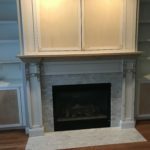 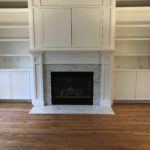 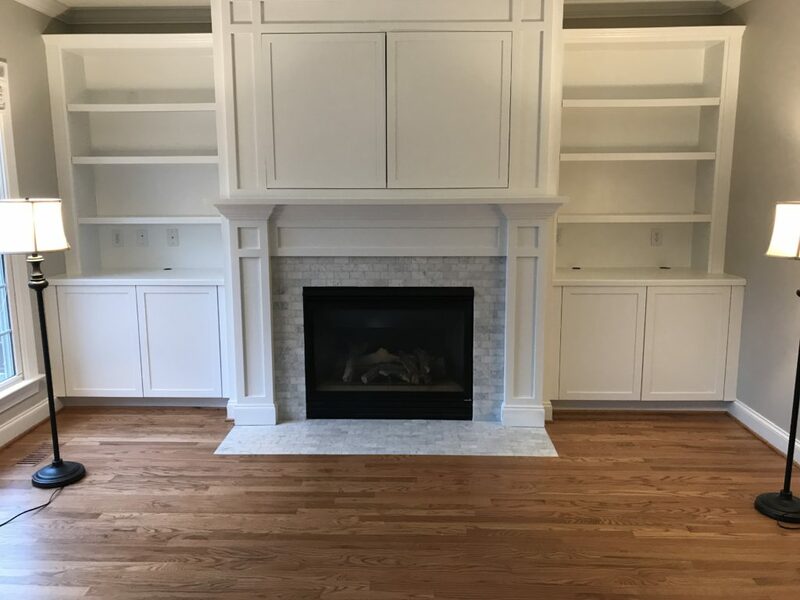 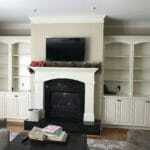 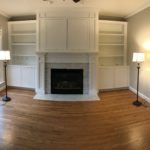 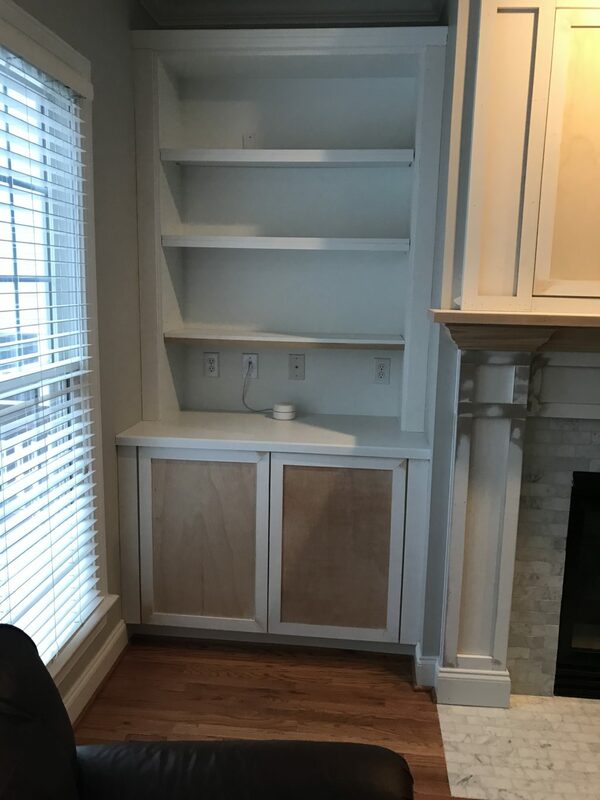 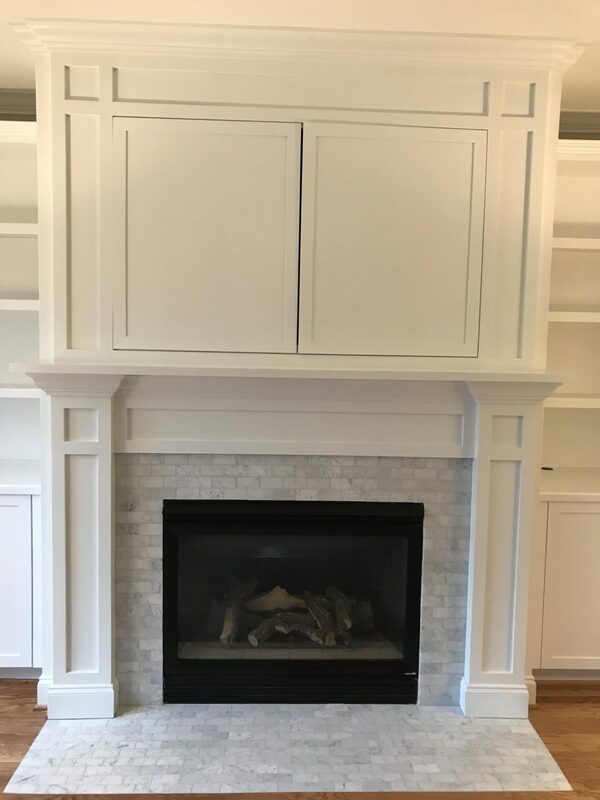 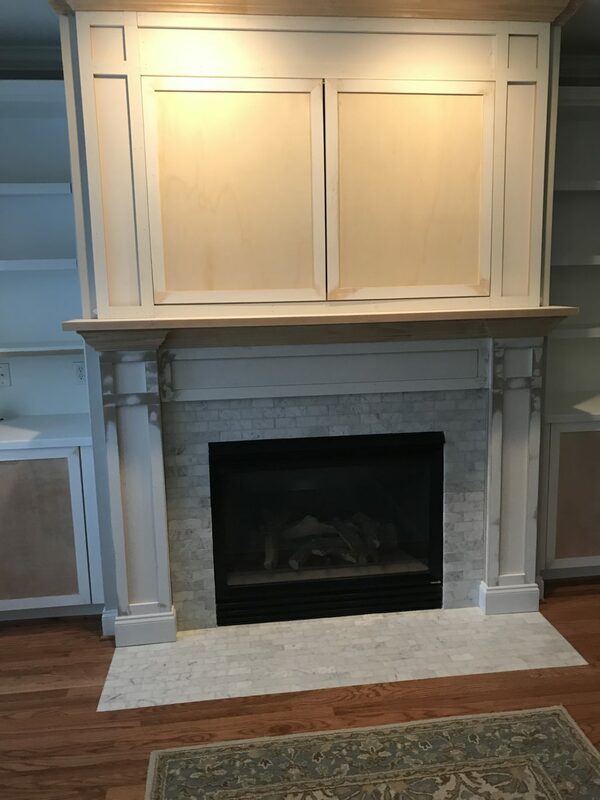 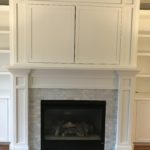 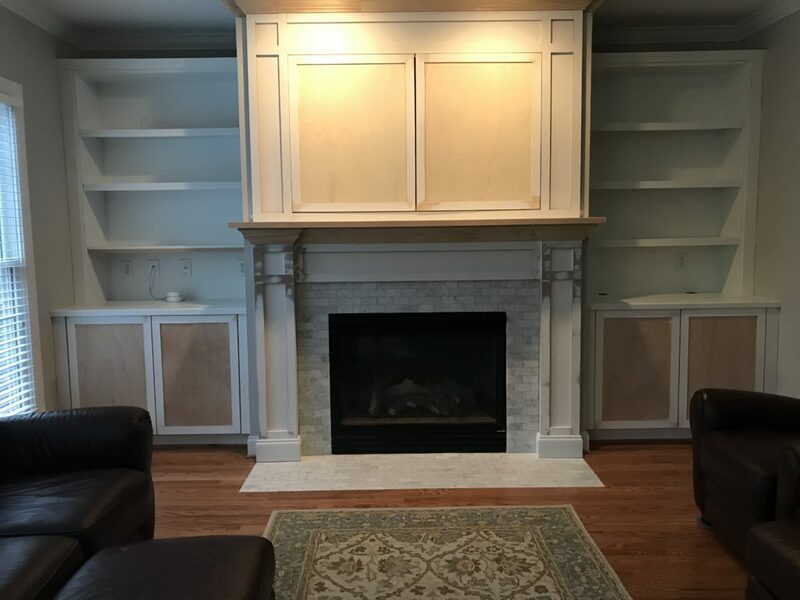 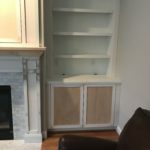 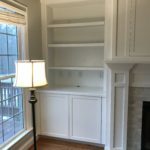 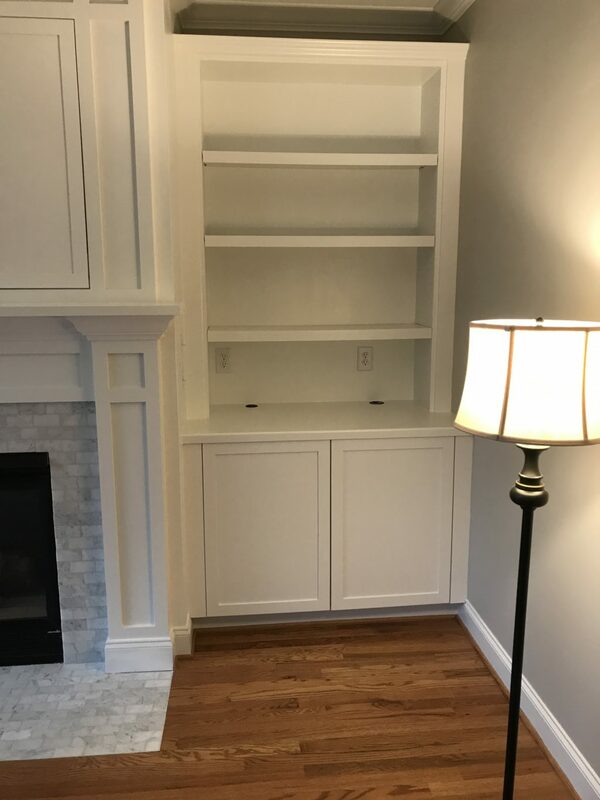 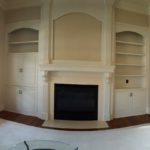 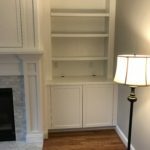 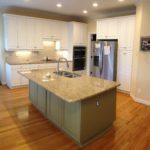 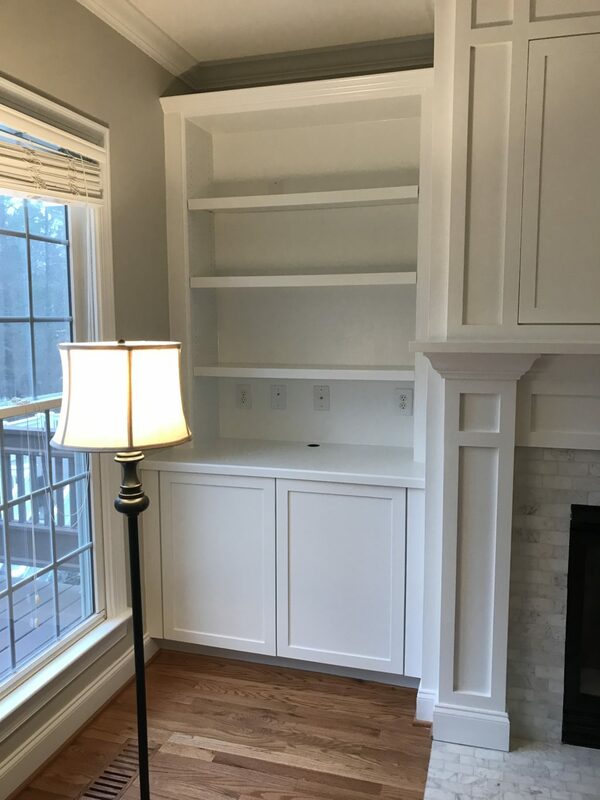 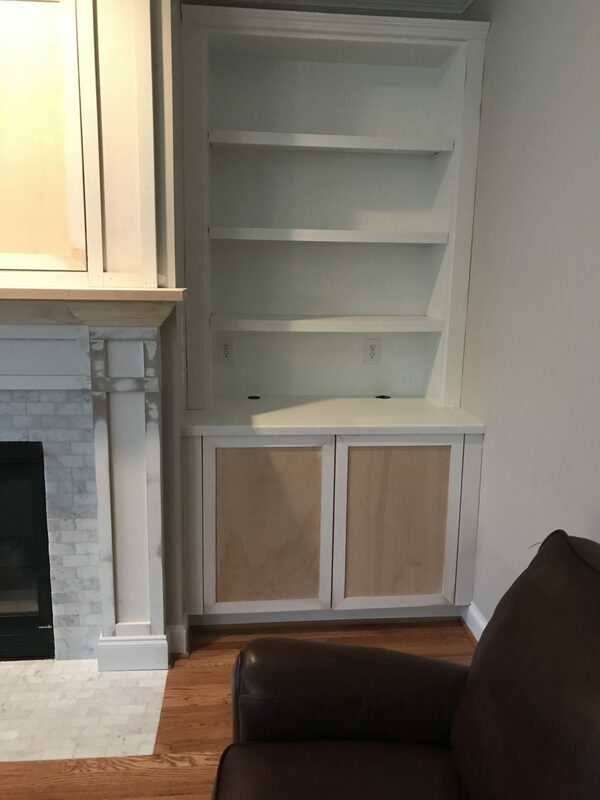 Our customers were creating a fantastic full wall of shelving and cabinets that entirely surrounded their fireplace and also gave them a great, hidden, TV nook. 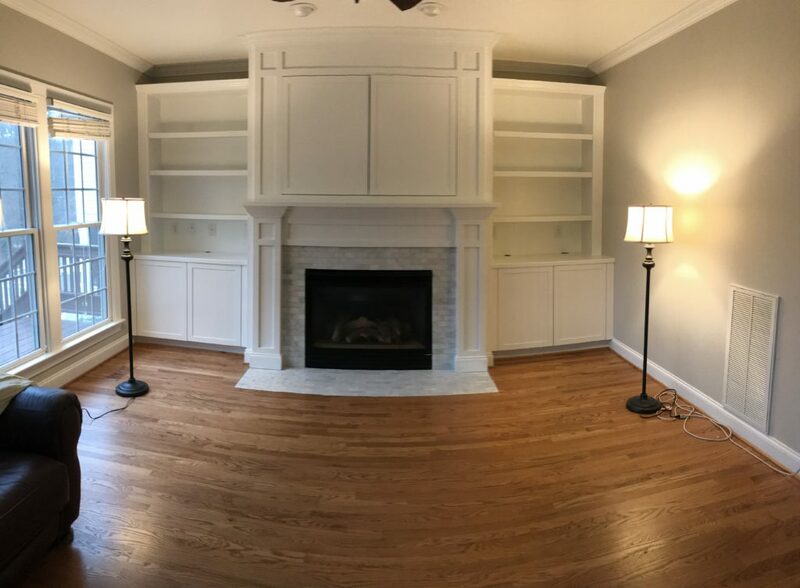 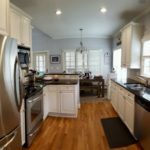 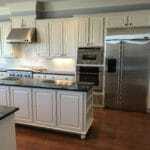 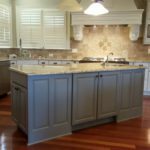 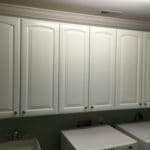 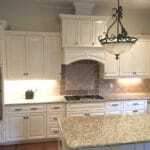 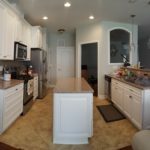 We came in and painted the entire thing to match the existing trim work in their home. 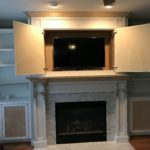 Now it’s a seamless fit.